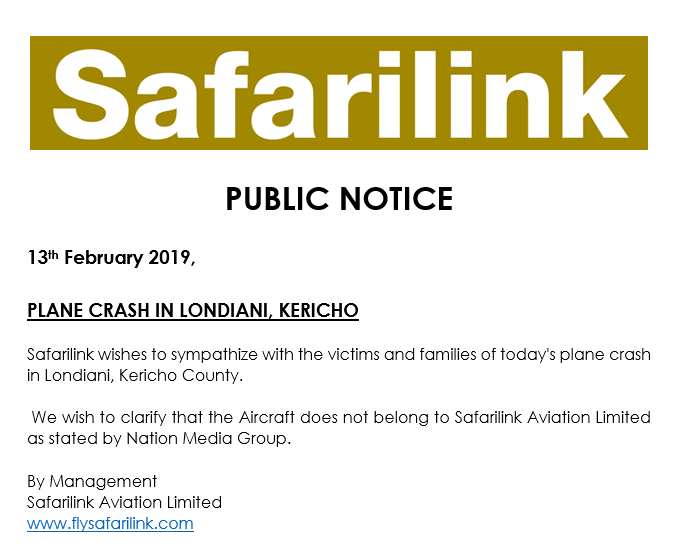 In a statement to the public, Safarilink say that the ill fated plane that crashed in Londiani -Kericho does not belong to them. This is after the Daily Nation reported that the plane heading to Lodwar was theirs. In a statement released to social media, Safari Link sympathized with the families of those who lost their lives. 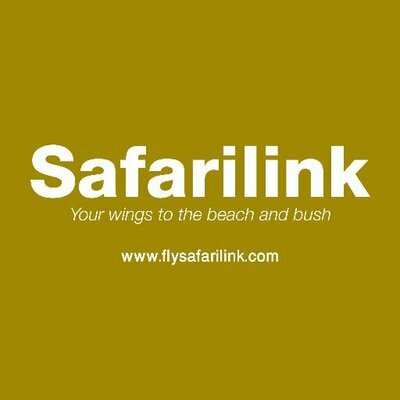 Safarilink wishes to sympathize with the victims and families of today's plane crash in Makutano Forest Londiani, Kericho County. We wish to clarify that the Aircraft does NOT belong to Safarilink as stated by Nation Media. The Nation Media Group has since withdrawn their version of the article that claimed the plane belonged to Safarilink. Editor's Note: In an earlier version of this story, we had quoted Londiani Deputy County Commissioner Justus Munyao as saying that the ill-fated plane was operated by Safari Link. This is not the case and the error has since been corrected.